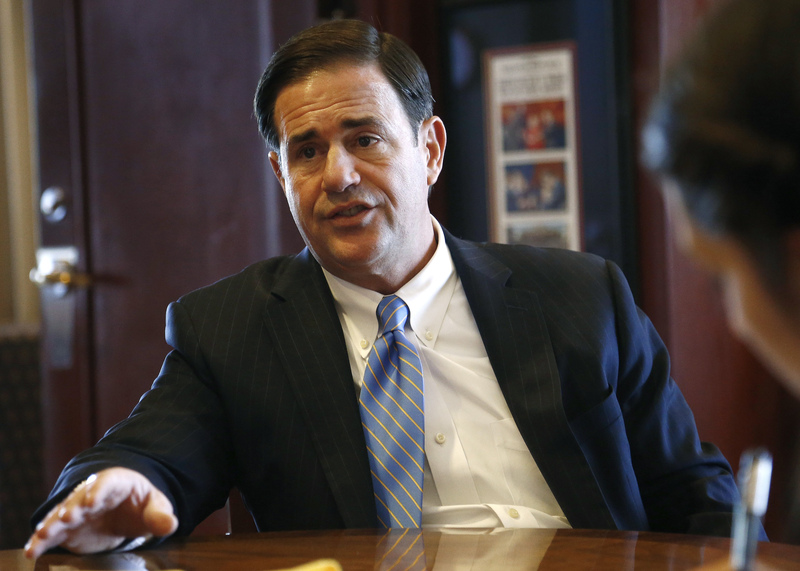 New finance report show Ducey’s contributions total $4.16 million. That includes another nearly $791,000 he raised in the most recent three months. The governor has plenty left to spend, listing total expenses of less than $912,000. That isn’t all that Ducey has raised. Aside from the Ducey For Governor Committee, the same staffers also are operating the Ducey Victory Fund. Any donations to that fund of up to $5,100 from individuals — the maximum one person can give to a candidate — are transferred to the governor’s reelection campaign. Amounts larger than that are given to the Arizona Republican Party which can use those funds to help Ducey and other party members with their races. So far those transfers to the party have exceeded $1.5 million. All that has left Ken Bennett, the other Republican in the race, in the dust. Bennett’s contribution list totaled $44,320, including $30,500 out of his own pocket, as he hopes to eventually get enough $5 donations to qualify for public funding. That would give him $839,704 to spend between now and the Aug. 28 primary. Among the three Democrats hoping to take on whoever survives the GOP primary, state Sen. Steve Farley has collected the most at more than $1.1 million against $628,193 in expenses. David Garcia said his has raised $846,104 to date, though his expenses are approaching $600,000. Kelly Fryer is far back at $161,383 in contributions and expenses of $120,498. What’s reported is unlikely to be all that is spent convincing Arizonans how to vote. Four years ago the governor was the beneficiary of close to $8 million spent on his behalf by outside groups on commercials extolling him or attacking Democrat Fred DuVal. To date, no outside groups have filed formal spending reports. 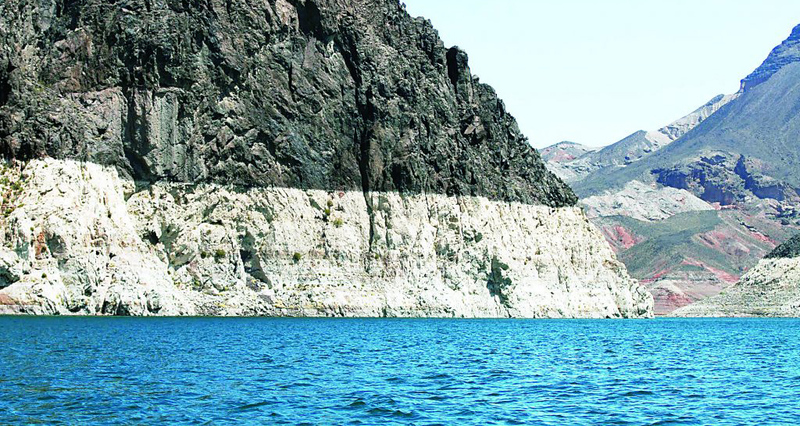 But there is spending going on, at least indirectly, that could help Ducey. Earlier this year, as Ducey was insisting the state could afford only a 1 percent increase in teacher pay, a business coalition spent about $1 million on TV commercials to say that education funding in Arizona is not as bad as critics complained. The money for the Arizona Education Project came from Pinnacle West Capital Corp., the Arizona Chamber of Commerce, the Arizona Lodging and Tourism Association and others. Spokesman Matthew Benson said the spending did not fit the definition of what is required by law to be reported as a campaign expense or require full disclosure of donors. That spending, too, is likely to remain off the radar, as it did not explicitly call for Arizonans to vote for Ducey. But the RGA already has indicated it is preparing to spend directly to influence races here and elsewhere. In a press release Tuesday, RGA Executive Director Paul Bennecke boasted of having $87.5 million in the bank. “The RGA’s record-breaking cash on hand gives us the ability to make a significant impact in 2018’s gubernatorial elections,” he said in a prepared statement. And Bennecke said he doubts the Democratic Governors Association will be able to do the same for their candidates, saying it reported just $18 million cash on hand. Slightly further down the ticket, Republican Steve Gaynor reports he has more than $1 million in his bid to oust incumbent Michele Reagan as secretary of state, though virtually all of that is his own cash. Reagan has been buffeted by a series of problems with how some elections have been conducted, notably the failure of her office to get pamphlets explaining the issues in a 2016 special election into voters hands before they got their early ballots. By contrast, Reagan, seeking another four-year term, listed donations of $649,684. That includes $85,000 she loaned her own campaign, though she repaid $15,000 of that earlier this year. Democrat Katie Hobbs is running unopposed for the Democrat nomination for the office. In the five-way GOP primary for superintendent of public instruction, incumbent Diane Douglas has raised less than anyone else at just $17,896. And she already has spent nearly $14,000 of that. At the other extreme, challenger Jonathan Gelbart reports donations of $98,839, though that also includes $25,000 of his own money. Frank Riggs was slightly farther behind at $85,098. But more than half was in loans to his campaign. Bob Branch listed $24,679 in donations, with Tracy Livingston at $18,668. On the Democrat side, both David Schapira and Kathy Hoffman qualified for $108,779 in public funds. There is no primary for the attorney general’s race. So far Republican incumbent Mark Brnovich has raised $705,662 versus $472,579 for Democrat January Contreras. In a two-way GOP primary for treasurer, Kimberly Yee has raised $632,056 compared with $7,830 for Jo Ann Sabbagh who hopes to qualify for $108,779 in public funding. Democrat Mark Manoil also is pursing $5 donations for public funding.